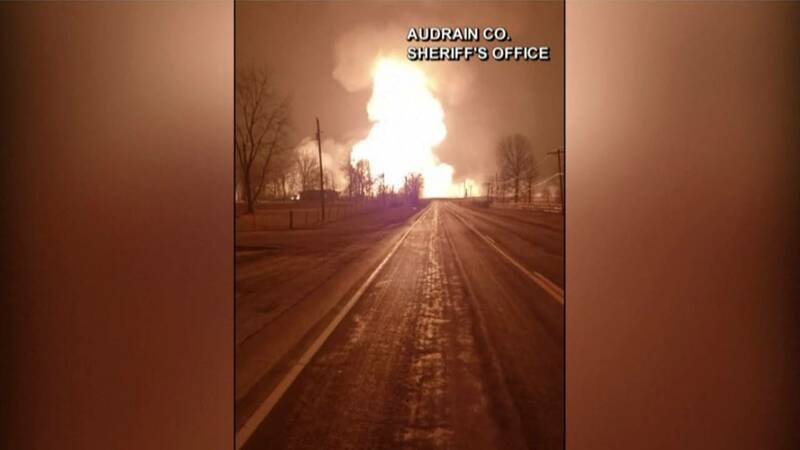 A gas pipeline explosion rocks a community in northeastern Missouri. Video from the Audrain Co. Sheriff's Office of the explosion shows flames shooting sky high when rescue crews arrived overnight. The pipeline is about two hours west of St. Louis. It took about 40 minutes for the flames to die down once the supply was cut.